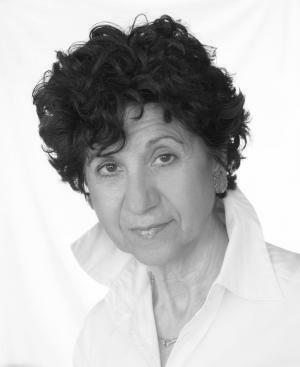 Nili Gold is Professor of Modern Hebrew Literature in the department of Near Eastern Languages and Civilizations (NELC) at the University of Pennsylvania. Born in Haifa, Israel, she received her B.A. and H.S. Techers Diploma in Hebrew Literature at The Hebrew University of Jerusalem. She continued her studies in the United States, receiving her M.A. and Ph.D from the Jewish Theological Seminary of America in New York City. She taught at Columbia University before joining Penn faculty in 2000. Her study of literature and culture combines psychoanalytic, biographical and historical approaches and is informed by diasporic studies, delving into issues of multilingualism and immigration. While the focus of her teaching is Hebrew and Israeli literature and cinema, she often includes American, European and Middle-Eastern works to gain a comparative perspective. Her most recent book about her hometown is a hybrid work of urban studies, architecture, literature and memory. Publications include Haifa, City of Steps (2017), Yehuda Amichai: The Making of Israel's National Poet (2008), and Lo kabrosh (Not Like a Cypress: Transformations of Images and Structures in the Poetry of Yehuda Amichai), Schocken (1994), in Hebrew. Forthcoming in 2018: Haifa Ahuvati (Haifa, my Love) a Hebrew version - not a translation of Haifa, City of Steps (Tel Aviv: Zmora Bitan Modan Publishing); Vehaga’agu’im sgurim bi: Yehuda Amichai, zmihato shel meshorer (And the longings are closed inside me: Yehuda Amichai, the growth of a poet), a revised Hebrew edition of Yehuda Amichai: The Making of Israel’s National Poet, (Jerusalem: Mineged Publishing). In preparation, The Art of Yoel Hoffman (in Hebrew, working title). Gold has also published dozens of articles in American, Asian, European and Israeli academic journals as well as in the Literary Supplement of the Israeli newspaper Ha’aretz.